risks, and emotional exposure that define what it means to be vulnerable, or to dare greatly. 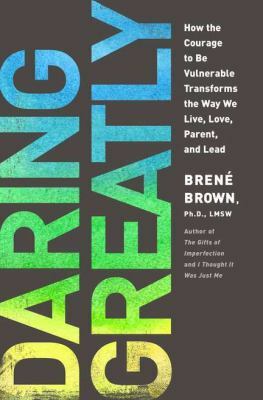 Whether the arena is a new relationship, an important meeting, our creative process, or a difficult family conversation, we must find the courage to walk into vulnerability and engage with our whole hearts.InDaring Greatly, Dr. Brown challenges everything we think we know about vulnerability. Based on twelve years of research, she argues that vulnerability is not weakness, but rather our clearest path to courage, engagement, and meaningful connection. The book that Dr. Brown’s many fans have been waiting for,Daring Greatlywill spark a new spirit of truth—and trust—in our organizations, families, schools, and communities. Scarcity: Looking Inside our Culture of "Never Enough"